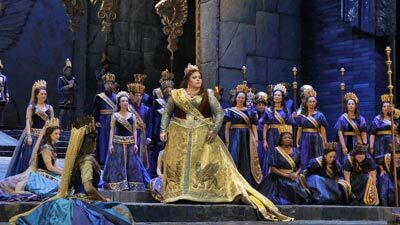 Rossini’s rarely heard comedy receives a brilliant performance in Bartlett Sher’s Met premiere production, with a trio of today’s greatest bel canto stars in the leading roles: Juan Diego Flórez is Count Ory, a handsome rogue who finds women—all women—irresistible. 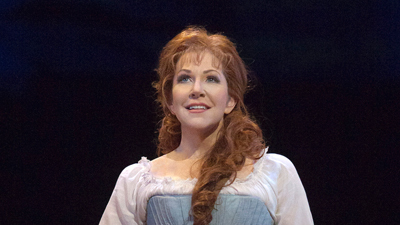 Diana Damrau sings the virtuous Countess Adèle, and Joyce DiDonato is Isolier, the count’s page, who is also in love with the countess. Jokes, misunderstandings, and gender-bending disguises—including knights dressed as nuns— abound in this hilarious tale of deception and seduction. Maurizio Benini conducts.